I must say, I’m surprised. I was expecting a filler episode, much like the one we had right after Gray’s arc, but the series dives straight into the action of the next arc. 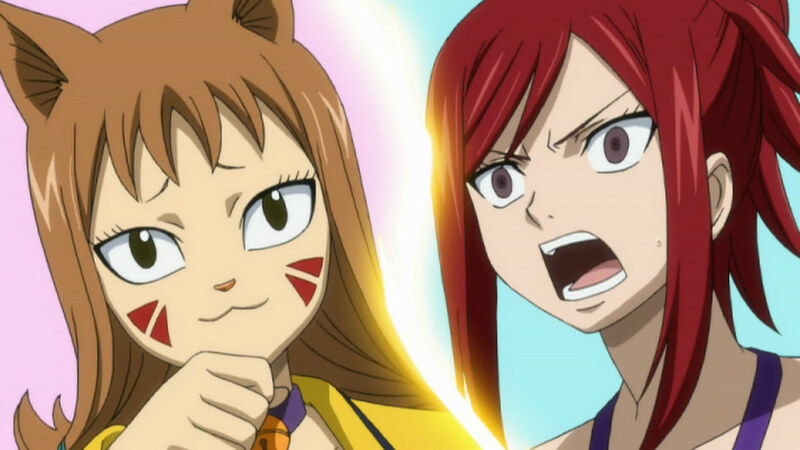 Erza’s story has begun, and it seems that the Seig look alike (From Rave Master/Groove Adventure Rave) was an old friend of hers back before she joined Fairy Tail. 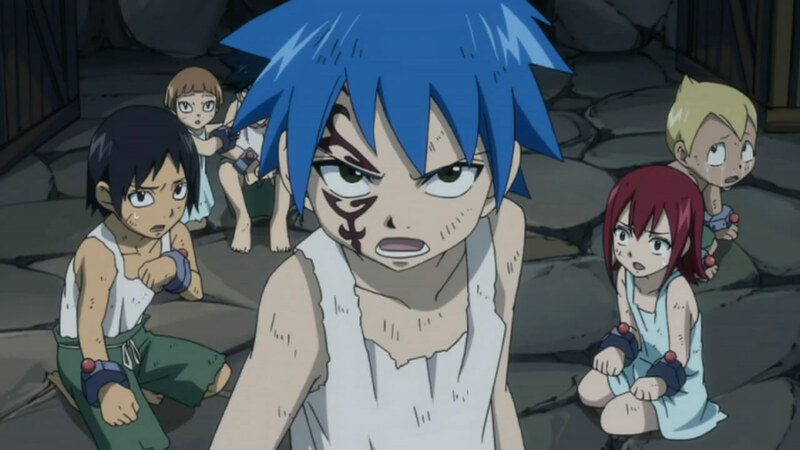 It also seems that Erza betrayed him, probably when she found out that he was up to no good. The most interesting part of this episode, is seeing how weak and scared Erza is, something that we haven’t seen until now. 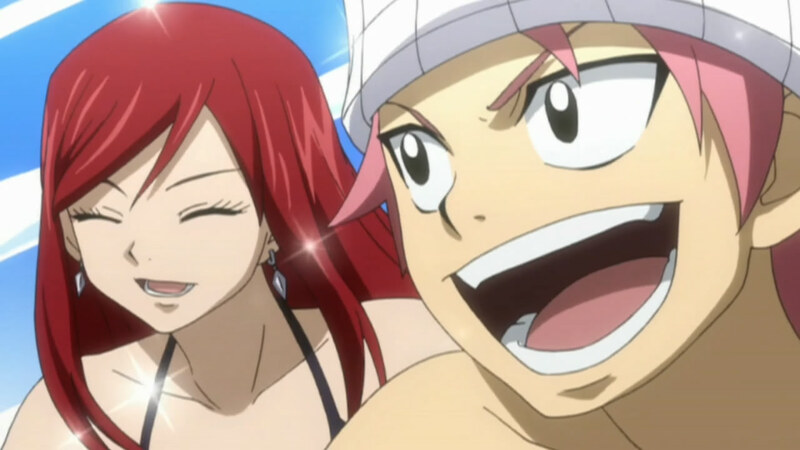 Erza has been show as the dominating, arrogant and bossy macho woman (minus the muscles XD), but in this episode alone, we see that she is very much human and has her own dark past and fears as well. If there’s one thing I’ve been noticing throughout this series, its that the characters get more and more progressively weirder with each arc. That Wally/Blocky guy? Seriously? And all that Dandy stuff at that? It just seemed like something a two year old would’ve come up with, and I did cringe a bit when I saw that he was an actual character in the main story. I wonder who’s going to be fighting him when the time comes. Probably Natsu will make quick work of him. I do also want to note, since I never really covered the present OP/ED themes, that I entirely am beginning to despise the latest ED theme. 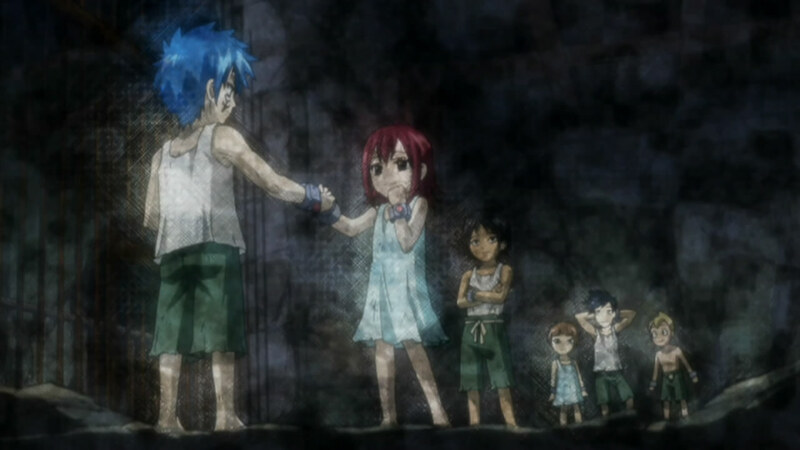 I really miss Merry-go-round, the last ED. The OP, on the other hand, has grown a bit on me. I hope we get a new ED theme, soon, I am getting rather tired of how odd and tacked on this one feels.